Leviton Circuit Breakers provide overload and short-circuit protection and feature an all plug-on design. All hot and neutral wires terminate at custom lugs in the panel, not at the circuit breaker*, so the entire panel can be wired at rough-in without circuit breakers installed. Leaving the option of having the circuit breakers easily plugged-on at final installation. They also feature colour indicators in the handle to easily see operational status at-a-glance. 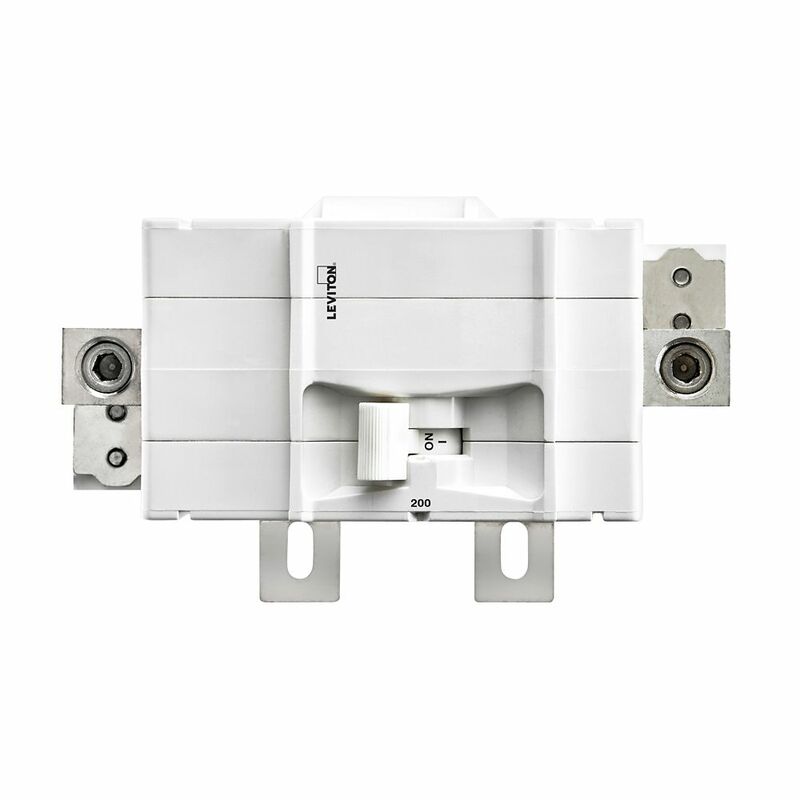 2-Pole 200A 120/240V Plug-on Main Circuit Breaker Leviton Circuit Breakers provide overload and short-circuit protection and feature an all plug-on design. All hot and neutral wires terminate at custom lugs in the panel, not at the circuit breaker*, so the entire panel can be wired at rough-in without circuit breakers installed. Leaving the option of having the circuit breakers easily plugged-on at final installation. They also feature colour indicators in the handle to easily see operational status at-a-glance.